Living life in the gorgeous North Yorkshire rural Countryside with my family, I love to spend time with my family and friends, love jewellery especially Pandora and handbags mainly kiplings and all things Disney. 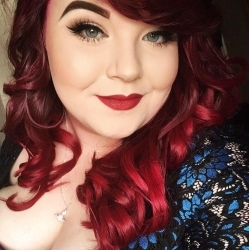 Hey I'm Georg, I'm a fun, colourful, geeky plus size girl from North East England. I am a disability and lifestyle blogger trying to raise awareness of sight loss/disability and tackle the common misconceptions surrounding both visual impairment and disability.